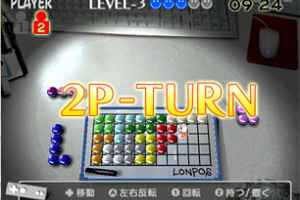 Does this WiiWare puzzler have what it takes to stand out from the crowd? 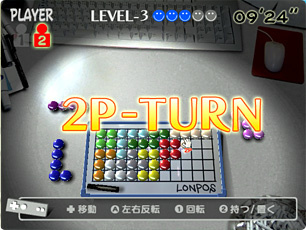 Having been available since WiiWare launched in Japan, Lonpos' Western release has been a long time coming. 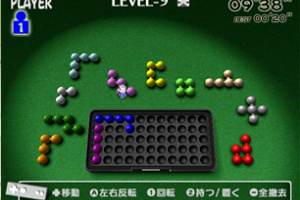 The game itself has been adapted from a popular logic puzzle game of the same name. 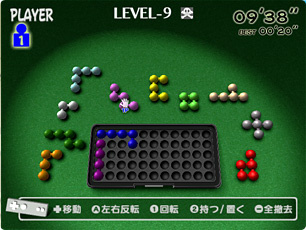 The question, of course, is how well does it fare against the many puzzle titles already on WiiWare? 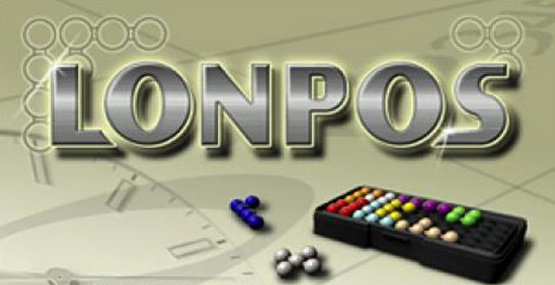 At its core, Lonpos is a pretty.. 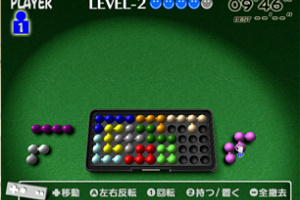 Looking for a puzzle game that anyone can play, but still offers plenty to master? 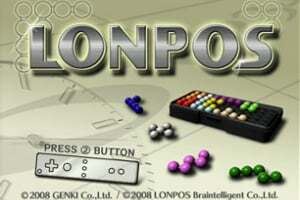 Look no further than Lonpos, with its straightforward premise and large variety of puzzles to solve. Each puzzle revolves around a rectangular playing field of 55 spaces. 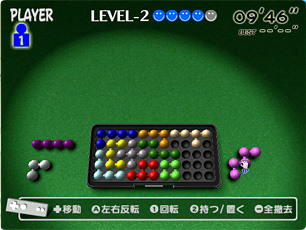 Using a set of 12 pieces, the goal is to place every piece into the playing field, filling it completely. The higher the level, the more pieces you'll need to fit correctly into the playing field. Challenge yourself with two single-player modes or bring a friend to compete against or cooperate with. When you think your skills are worthy, use Nintendo Wi-Fi Connection to check out how you compare with other LONPOS players or download additional puzzles and backgrounds. @Nintendork I read that it will cost about 1000 Wiipoints and will have Pay & Play. Looks like one of my favorite type of games i want to play and hope it comes to the NA soon! I reckon that this could still be quite fun for those who like Puzzle games (If You don't, tough luck on WiiWare) and i wouldn't mind paying for DLC, just not 4500 points worth of it. Meh, looks kind of boring, and I'm sure there's a free flash version out there somewhere, and that won't cost you 45 smackers. Looks alright but far too expensive for my tastes and defeats the purpose of bringing this to Wiiware. And it's another puzzler too. Do we really need tons more puzzle titles? Is it known just how much DLC packs will cost in the west? this actually looks like my kind of game, unfortunately it doesn't seem to have my kind of pricing scheme. i am NOT a fan of download content that has an additional cost. "I'm sure there's a free flash version out there somewhere, and that won't cost you 45 smackers"
Wait a second. 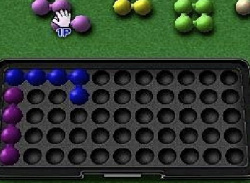 How many blocks is this game anyway? How come there's no indication of it on the page? @KnucklesSonic8: Sorry, I should have mentioned the size. On my European Wii it takes up 123 blocks. Yep and here in NA, when the update came, I quickly checked and it's 125 here. I see the page has been updated accordingly. hmm. i'm still sort of considering getting this. 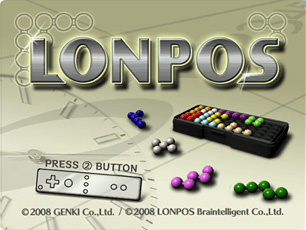 i just looked at getting a physical version of lonpos, and it looks like the wiiware is cheaper (ignoring download content)... and doesn't take up any space in my house. and can't lose pieces. but the lack of different visuals and music is off-putting. so is the price. and the expensive extra download content isn't a plus either. maybe i'll pick it up if i can wii points for 40% off again. Yeah, I've never seen wii points on sale around here. BTW Knuckles, what part of Canada do you live in? According to google maps, you live 229 km from me in the little old town of Lakefield. 800 pts for the game. 9 x 300 pts for all Pay & Play DLC packs = 2700pts. 800pts + 2700pts = 3500pts for the complete version.